Etihad Airways and the Department of Culture and Tourism – Abu Dhabi are taking Jeddah residents on an immersive tour of Abu Dhabi across VOX Cinemas using 3D projection mapping. This is the first time this technology is being utilised to promote a destination in the Kingdom of Saudi Arabia, and the wider Middle East region. This month, projection mapping will turn VOX cinemas into a theatrical stage to provide viewers with a simulated first person experience of what it’s like flying with Etihad Airways to Abu Dhabi. 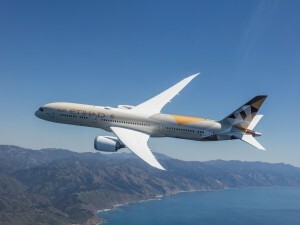 Tim Burnell, Vice President Marketing, Etihad Airways, said, “Abu Dhabi is a dynamic capital with a wealth of exciting opportunities to offer to every type of traveller. We are delighted that today’s technology can showcase what our airline and capital has to offer, by bringing the experience to them, making them feel like they are actually here.” Viewers will board an Etihad aircraft and walk around the Business Cabin before being transported to world-famous leisure attractions including Ferrari World Abu Dhabi, Yas Waterworld and to Warner Bros. At World Abu Dhabi, famous cartoon and comic characters such as Bugs Bunny and Batman will interact with the audience. The journey continues to a mangrove forest, followed by miles of beautiful white sand beaches and a live cooking demonstration, before closing on Abu Dhabi’s rich skyline. Under the patronage of His Highness Sheikh Mohamed bin Zayed Al Nahyan, Crown Prince of Abu Dhabi, and Deputy Supreme Commander of the UAE Armed Forces, and in partnership with the Saudi Commission for Tourism and National Heritage (SCTH), Louvre Abu Dhabi hosts ‘Roads of Arabia: Archaeological Treasures of Saudi Arabia’, the second international exhibition in the museum’s new cultural season. The exhibition will explore the rich history of the Arabian Peninsula through archaeological and cultural artefacts, including a selection of rare pieces from the United Arab Emirates. It is one of the most renowned Saudi exhibitions on a global scale, introducing Arabia’s cultural and historical heritage to over five million visitors worldwide. The exhibition has presented 14 acclaimed editions throughout Europe, the USA and Asia, sharing the story of this unique region with audiences around the world. 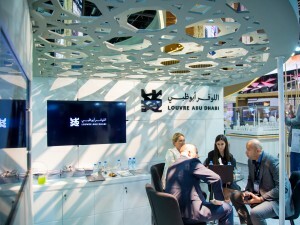 “The United Arab Emirates and Kingdom of Saudi Arabia have always been connected by a common heritage and history,” says H E Mohamed Khalifa Al Mubarak, Chairman, Department of Culture and Tourism–Abu Dhabi. “This year’s edition of the exhibition will be a reflection of the rich, shared cultural heritage and deep-rooted history between the two nations,” he said. ‘Roads of Arabia: Archaeological Treasures of Saudi Arabia’ explores five chapters in the history of the Arabian Peninsula, spanning early prehistoric settlements; maritime exploration; caravan trading routes that linked the region with Asia, Mesopotamia and the Mediterranean; routes of holy pilgrimage emerging in the 7th century CE; and the social and economic developments between the 14th and 16th centuries that set the stage for the modern day region. 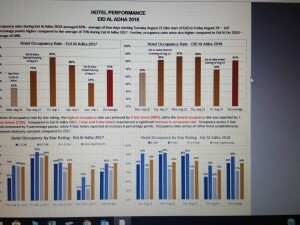 The Department of Culture and Tourism – Abu Dhabi (DCT Abu Dhabi) has announced that hotel occupancy rates in Abu Dhabi during Eid Al Adha 2018 averaged 81 per cent across the four days from August 21st to August 24th. 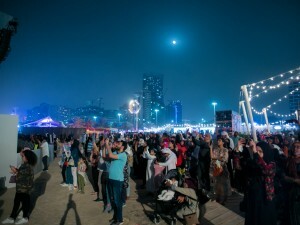 This represented an impressive six percentage point increase compared to the average occupancy figure of 75 per cent during Eid Al Adha in 2017, further underlining the Emirate’s strong appeal as a destination of distinction for family leisure and entertainment. The highest occupancy rate (87 per cent) was recorded on the second day of Eid. This exceptional holiday period saw a surge in visitors from both the UAE and further afield, with Emiratis, Saudis, Indians, British and Americans making up 55 per cent of total visitors. 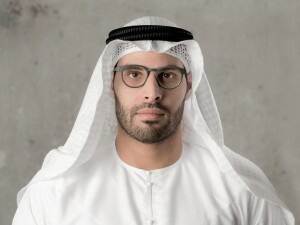 Commenting on the numbers, HE Saif Saeed Ghobash, Undersecretary of DCT Abu Dhabi, said: “Once again, Abu Dhabi demonstrates its position as a leading tourism destination for visitors from the region and beyond. We are making strong progress in achieving our forecast guest arrivals growth for the year. Eid Al Adha provided further impetus as the capital welcomed a record-breaking number of visitors, with many of our leading hotels achieving near full occupancy with tourists choosing Abu Dhabi as the place to spend their holiday. Our diverse potfolio of attractions, the recently opened Warner Bros. World Abu Dhabi in particular, Abu Dhabi Summer Season and our ever-growing year-round programme of events, and our established credentials as a tourist and leisure destination provides us with persuasive reasons for travelers to choose the emirate as a ‘must-visit’ year-round location”. The number of hotel guests staying in Abu Dhabi increased by 4.9 per cent during the first five months of 2018 compared to the same period last year. 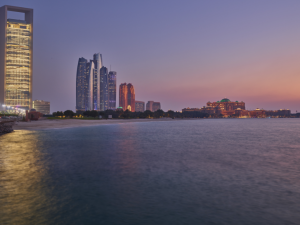 According to statistics from the Department of Culture and Tourism – Abu Dhabi (DCT Abu Dhabi), 162 hotels, resorts and hotel apartments offering 31,236 rooms across the emirate welcomed 2,073,586 guests during January to May. The occupancy rate has averaged 75 per cent during the same period, with a 1.4 per cent increase, while the average length of stay was 2.7 nights, an increase of 2.4 per cent compared to the same period in 2017, with China topping the number of visitors, recording 192,500 visitors, an increase of 19.9 per cent. 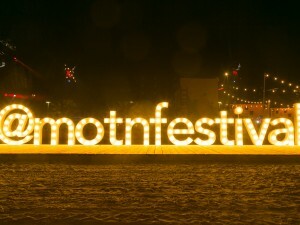 India came in second with 166,700 guests and a 22.2 per cent increase, followed by the UK with 119,900 amounting to a 12.7 per cent increase, the United States with 82,300 guests and a 25.7 per cent increase, and Germany with 71,300 guests at a 20 per cent increase. HE Saif Saeed Ghobash, Undersecretary, DCT Abu Dhabi, said, “These results demonstrate steady growth and prove Abu Dhabi’s ability to realise its strategic goals of positioning the emirate as a leading global destination through forward-looking marketing and promotional campaigns that seek to sustain growth.” While the Abu Dhabi Summer Season will run until August 18, the second half of 2018 will witness prominent events such as the Formula 1 Etihad Airways Abu Dhabi Grand Prix and Abu Dhabi Art in November, and the Abu Dhabi Food Festival in December.